Sunlighten is a sauna manufacturer based out of Overland Park, KS that focuses solely on infrared based saunas and heaters. 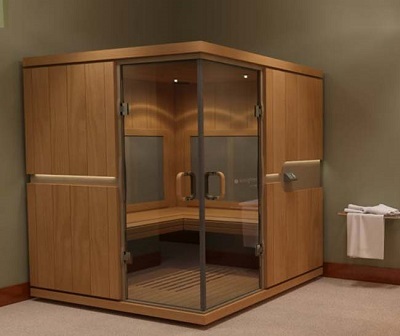 They offer a wide range of sauna solutions for both home and commercial use. The brand separates themselves from the competition by focusing solely on the technology associated with building top notch infrared saunas. For years they’ve been one of the top innovators in the development of infrared saunas and they give customers a litany of information associated with the progress that they’ve made. As they mention on their site, their Solocarbon Heaters are the backbone of the saunas that they offer. Their heaters have been clinically tested and proven to lower blood pressure and help with weight loss. They also manufacture every part that goes into making their heaters, ensuring customers that they’re getting the safest and most effective heaters on the market. Another major factor that Sunlighten has used to exceed the standards set by their competition is the way they construct their saunas. Each sauna is made to be over 30% thicker than the industry standard while the wood and process that they use to construct them is meant to be as environmentally friendly as possible. While Sunlighten doesn’t offer much in the way of authenticity and tradition with their sauna options, their focus on infrared saunas puts them at the top of the list in quality and technology for the infrared options that they have. Customers looking for a top of the line infrared sauna should look no further than the incredible options and innovative technology that Sunlighten brings to the table.